Solar advocates win big victories in Nevada and Colorado and keep net metering policies intact. Michigan solar energy fight garners unusual advocates for distributed generation. Clean Power Plan drawing criticism from utility-funded reports. 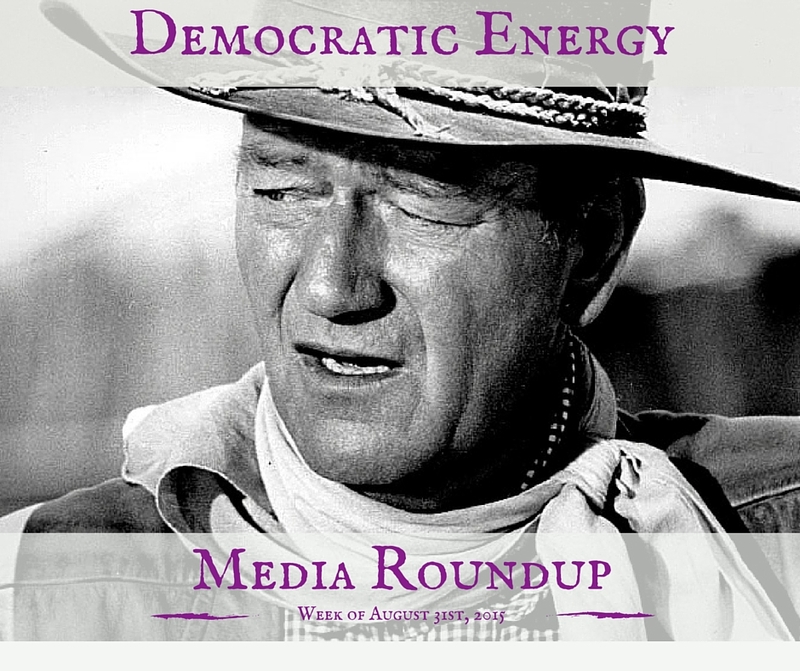 Exellon-Pepco merger thwarted by grassroots efforts. The root cause of the battle between utilities and their (captive) customers is the utility monopoly. 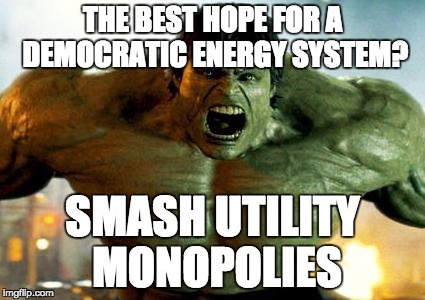 And the best hope for a democratic energy system may be to smash it. NV Energy has proposed a new rate that The Alliance for Solar Choice says would end rooftop solar in Nevada and cost 6,000 jobs. The national advocacy group for the panel industry has proposed that the existing net-metering policy be extended through Dec. 31 when the PUC is required to finalize the new rate. Miller said NV Energy admits in its filing with the PUC that under the proposed rules and rates the cost of installing a rooftop solar system would likely result in customers paying more for energy than those who do not install such systems. “We think wind will be a major compliance solution for many states and utilities,” said Rob Gramlich, senior vice president for government and public affairs for the American Wind Energy Association (AWEA), speaking at the National Clean Energy Summit 8.0 in Las Vegas. The Midwestern wind belt has seen an explosion of wind power in recent years, with three states getting more than 20 percent of their power from wind. 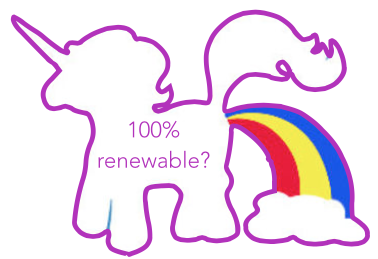 Energy	100% Renewable Energy: Fact or Fantasy?